This allemanda is the opening movement of the second sonata from Sonates pour la flûte traversière avec la basse, Op. 19 by the prolific French Baroque composer Joseph Bodin de Boismortier. 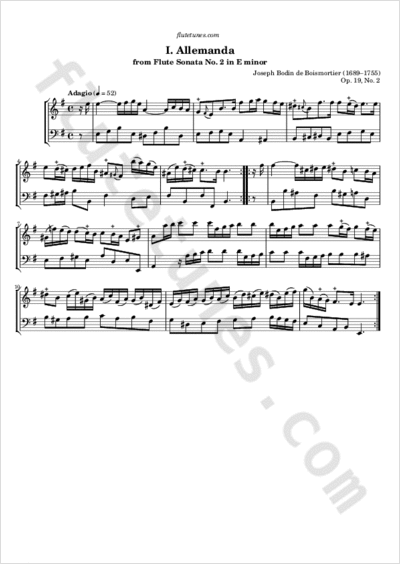 These sonatas were originally published in Paris in 1727.